Scholarly in depth articles in this digest size, glossy publication. An appreciation of fantastic films. 1978 premiere issue. Articles include: Bram Stoker's DRACULA, THE TIME MACHINE, The Hills of Mars and much more. Scholarly in depth articles in this digest size, glossy publication. An appreciation of fantastic films. 1979 issue. Articles include: SUPERMAN, Jeff Morrow, Why Vampires Fear the Cross and much more! Scholarly in depth articles in this digest size, glossy publication. An appreciation of fantastic films. 1980 issue. 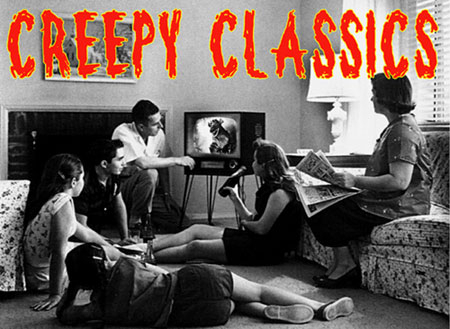 Articles include: STAR TREK, THE UNDEAD, The Demon Barber, Return of the Video Vampire and more! Scholarly in depth articles in this digest size, glossy publication. An appreciation of fantastic films. 1981 issue. Articles include: THE EMPIRE STRIKES BACK, The Living Dead, History of 3-D Films, Interview with John Agar and more! Scholarly in depth articles in this digest size, glossy publication. An appreciation of fantastic films. 1982 issue. Articles include: James Mason's 20,000 LEAGUES UNDER THE SEA, E.T., BLADE RUNNER, SWAMP THING and more! Scholarly in depth articles in this digest size, glossy publication. An appreciation of fantastic films. 1984 issue. Articles include: STAR WARS Trilogy, THE SHINING, Dr. Jekyll and Mr. Hyde, Interview with Henry Brandon and much more!